Asfar is a NGO, voluntary and civil society organisation, operating through the dedication and commitment of a team of volunteers. 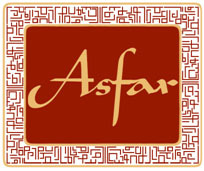 Asfar is a registered Community Interest Company or CIC, a type of social enterprise, which mobilises consultancy and development services to make a difference in order to achieve our aims. Through our social enterprise model, Asfar is able to provide international grants to young people and those affected by conflict in the Middle East, to cover the cost of our Durham Stipend scheme, as well as subsidise a wide range of other projects on a local and international basis. Through Asfar’s NGO Consultancy and Development services, Young People, especially students and graduates, who specialise in the Middle East, have the opportunity to gain some worthwhile work experience, on a voluntary, and occasionally paid basis. This allows Asfar to not only develop young people’s skills and support fellow NGOs and Communities organisations, but to also provide real opportunities to participants, re-investing revenues back into the communities Asfar serve. As a registered Community Interest Company (CIC), Asfar must annually report to the CIC Regulator, much like the way charities must report to the Charity Commission. Asfar’s annual CIC report includes a general overview of the organisation and how it remains a CIC body. As part of this, Asfar created a Social Audit Report for our first year of being a registered organisation, in-line with our annual accounts.